Netflix black and white family portrait "Roma" won Best Film at the British Academy of Film and Television Arts (BAFTA) awards on Sunday, scooping up the top prize at the star-studded event in London. "Roma" also saw Alfonso Cuaron pick up the Director prize at the ceremony. 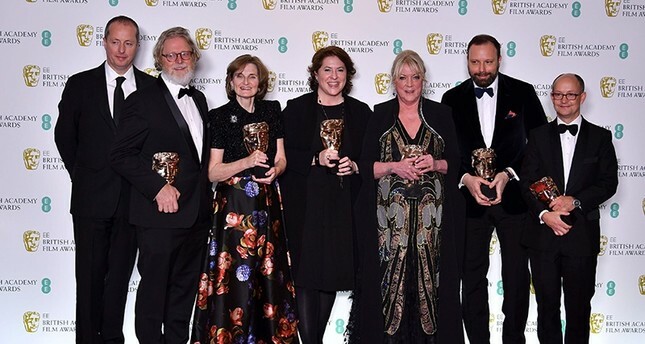 Tragicomic royal drama "The Favourite" was crowned the year's best U.K. film. Yorgos Lanthimos' period drama has a total of 12 nominations for the U.K. equivalent of the Oscars. Star Olivia Colman has already won a Golden Globe for her performance as Queen Anne in "The Favourite" and took the best-actress prize on Sunday night as well. The actress said she "had the greatest luck in that I played opposite two of the most glorious women," co-stars Emma Stone and Colman. Rami Malek won the best-actor prize for his performance as Freddie Mercury in "Bohemian Rhapsody." Malek said it was "extraordinary" to be recognized for his performance as the late frontman of Queen. Mahershala Ali was named best supporting actor for his role as a concert pianist in "Green Book." Ali said at the awards ceremony in London on Sunday night that it was "surreal to get this kind of thing for something you feel so passionate about and grateful for." Royals Prince William, and his wife, Kate, Duchess of Cambridge — wearing a white, off-the-shoulder Alexander McQueen dress — joined Amy Adams, Bradley Cooper, Cate Blanchett, Viola Davis, Timothee Chalamet and other stars for a black-tie ceremony at London's Royal Albert Hall.